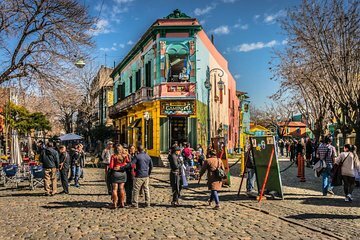 Discover the charm and culture embedded in the historic neighborhood of La Boca during this private, 3-hour walking tour with a local guide. Explore the emerging arts community here and view the many examples of contemporary street art. Learn about its history as one of the oldest neighborhoods in Buenos Aires and what is in store for its future through your local guide's engaging commentary. Enjoy personalized attention on this private tour.